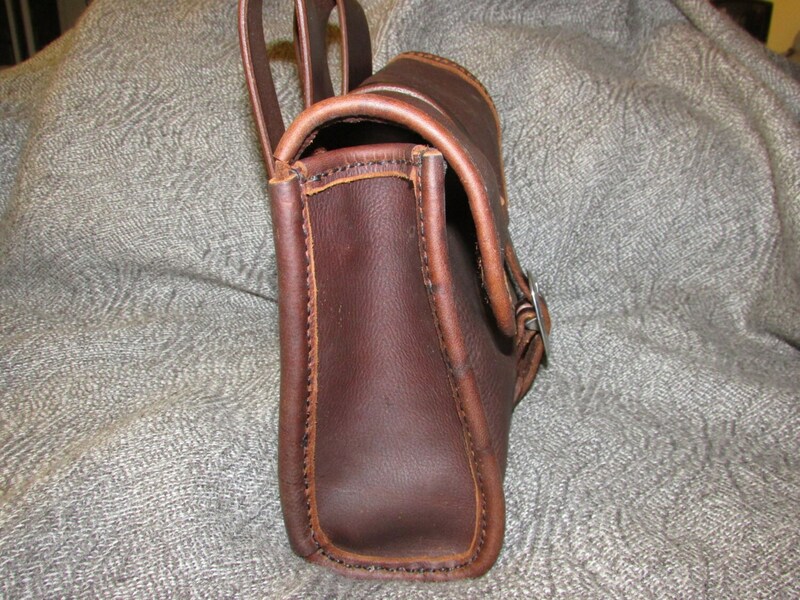 This listing is for a handmade leather "Possibles" / Dump bag. 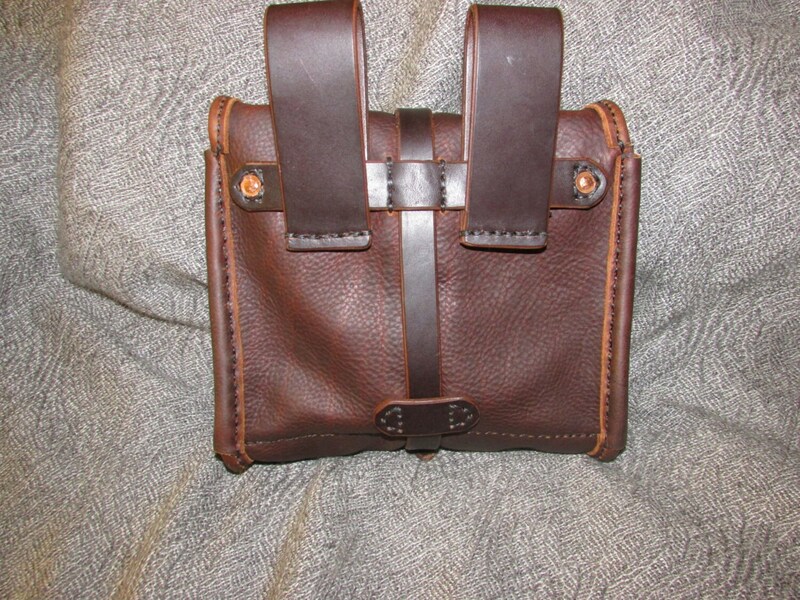 The bag is completely hand made/ hand stitched and features a large interior pouch, and smaller secondary pouch with attached leather Molle compatible strip. 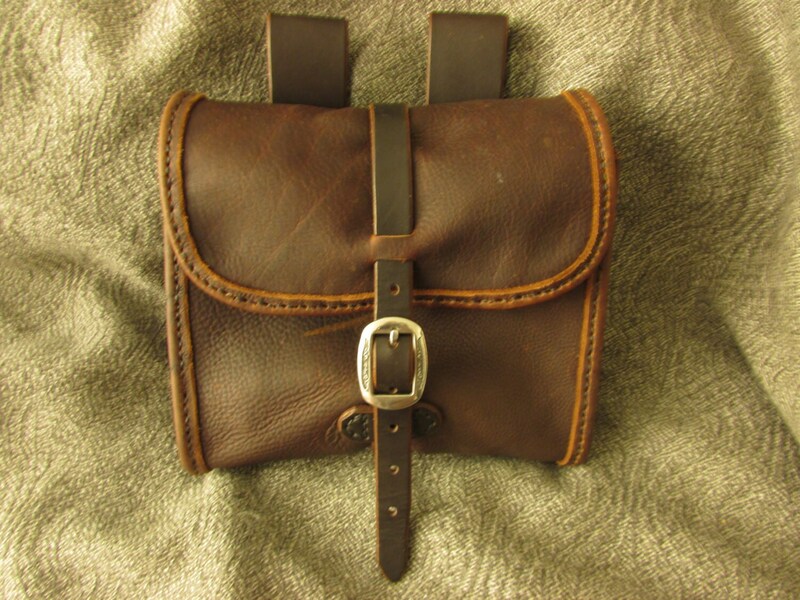 The bag is attached to the belt via the two heavy duty loops on the back, but can be modified to be carried in a lot of different ways. 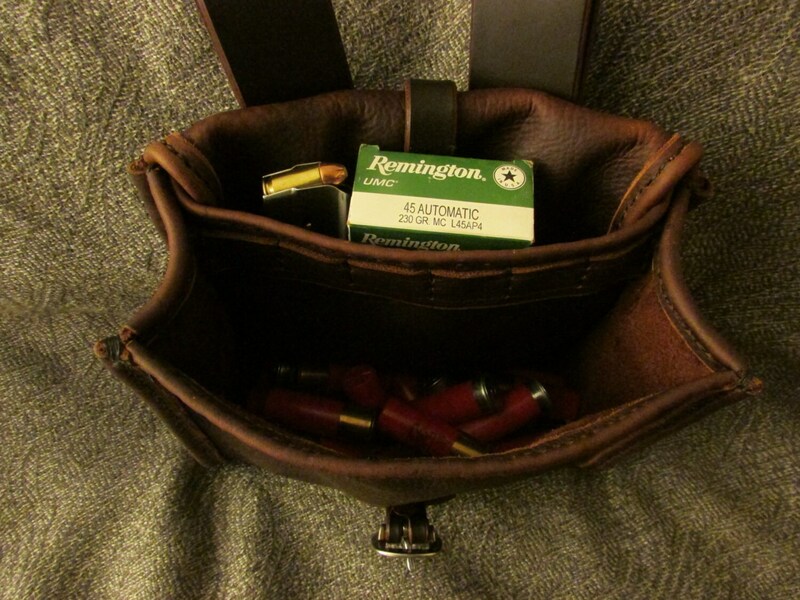 I'll spare you the evocative story about minutemen keeping their possibles bag at the ready, but suffice it to say this bag is perfect for the shooting enthusiasts, re-enactors, Hunters, hikers, or anyone who likes carrying things places other than in their hands. The bag in the photos is the "Dark Brown" color option. As always, this item is available for customization, so feel free to message me with any questions/ideas. High quality! 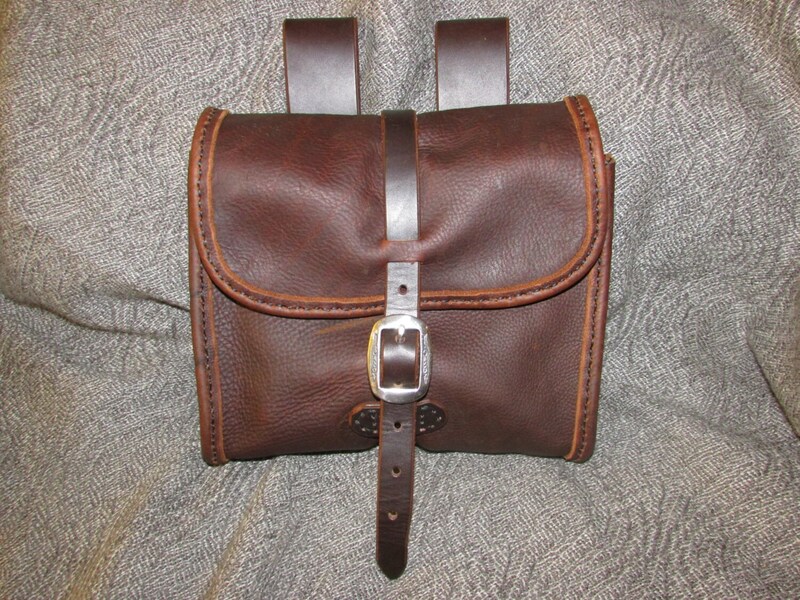 My father loved this with his initials stamped on the flap!